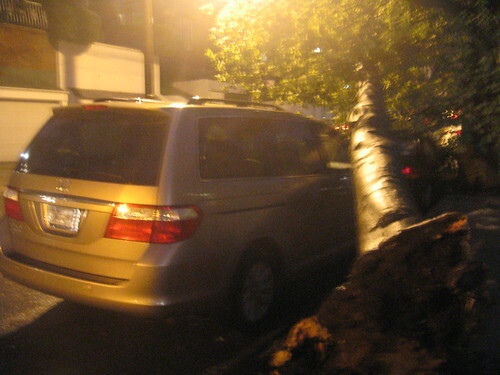 Turns out it wasn't the black car that got the brunt of the damage, and it was, in fact, the whole damn tree that game down. 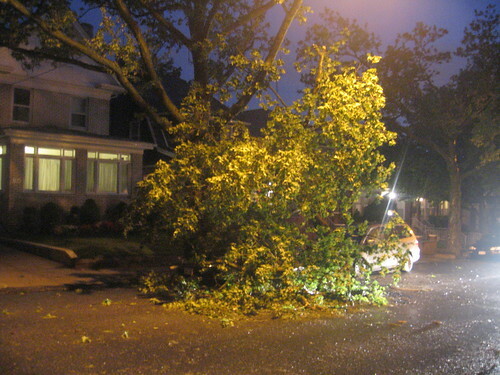 Actually, what I didn't show here is that the tree actually completely missed the little black car, other than a few light branches here and there... by inches! 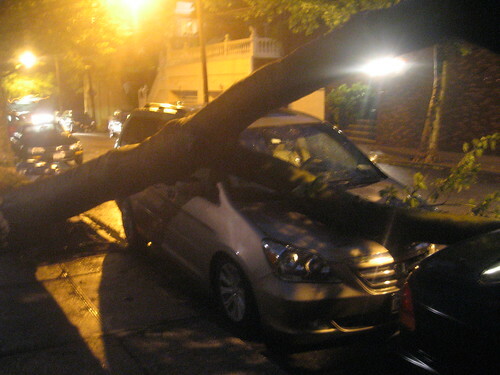 Man, if I would have come out to discover my car like this, I'm pretty sure I would have cried.